Our base at Norman Wells may be unique in the world. There are 16 river systems within flying distance of North-Wright’s home base, including eight that are gaining a world-class reputation in the paddling market: the Mackenzie, Mountain, Keele, Wind, Bonnet Plume, Snake, Anderson, and Horton Rivers. For more information, contact North-Wright Airways. 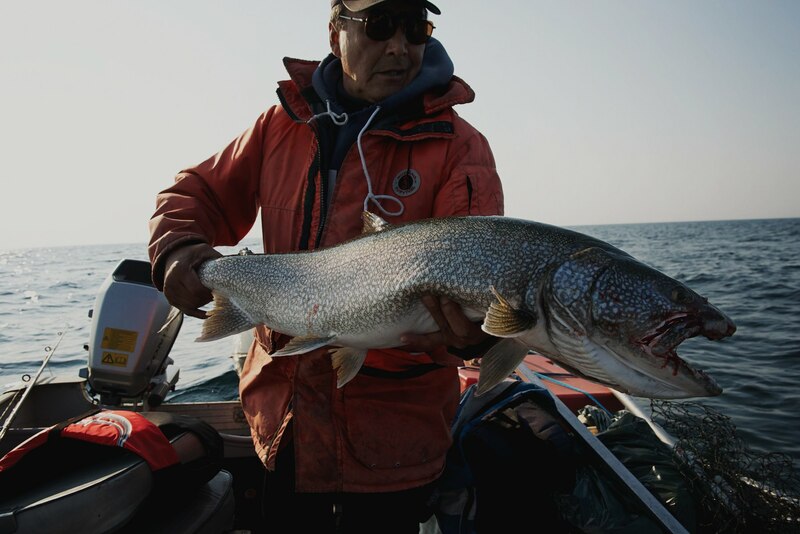 Great Bear Lake, the largest lake within Canada and the seventh largest in the world offers some of the largest lake trout on record. Choose a day trip to Great Bear Lake, Turton Lake or Kelly Lake. 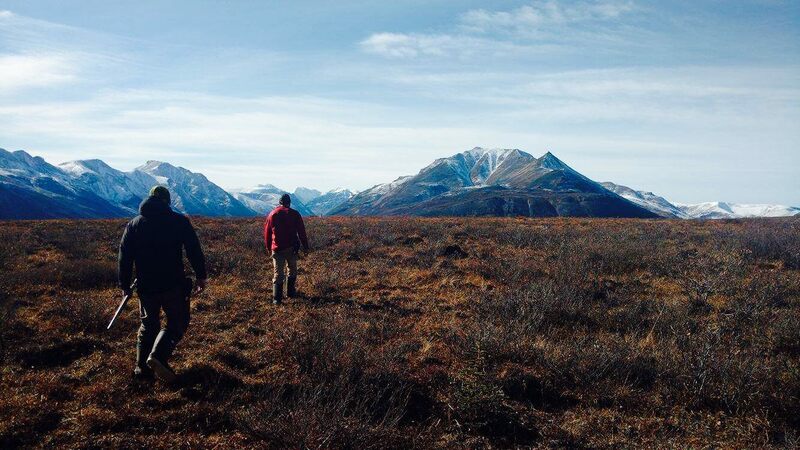 Mackenzie Mountain outfitters offer exceptional hunting experiences, based out of Norman Wells. 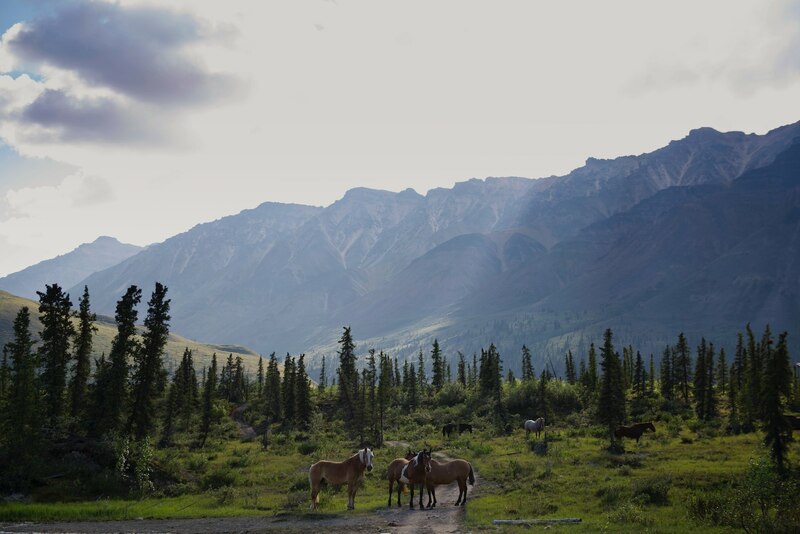 High in the mountains each outfitter has a range the size of a small country, where wildlife is carefully managed. 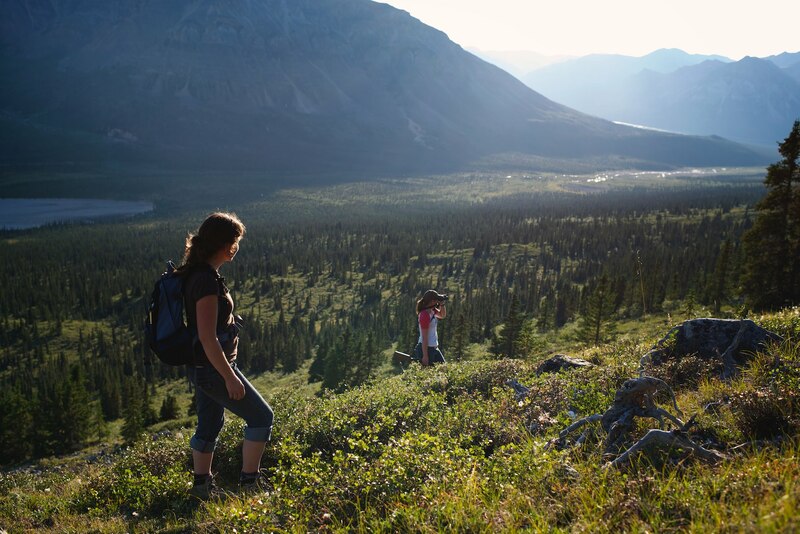 There are world-class hiking opportunities in the Mackenzie Mountains, including the Canol Heritage Trail and trails along the Great Bear River. Talk to our experts for more information. 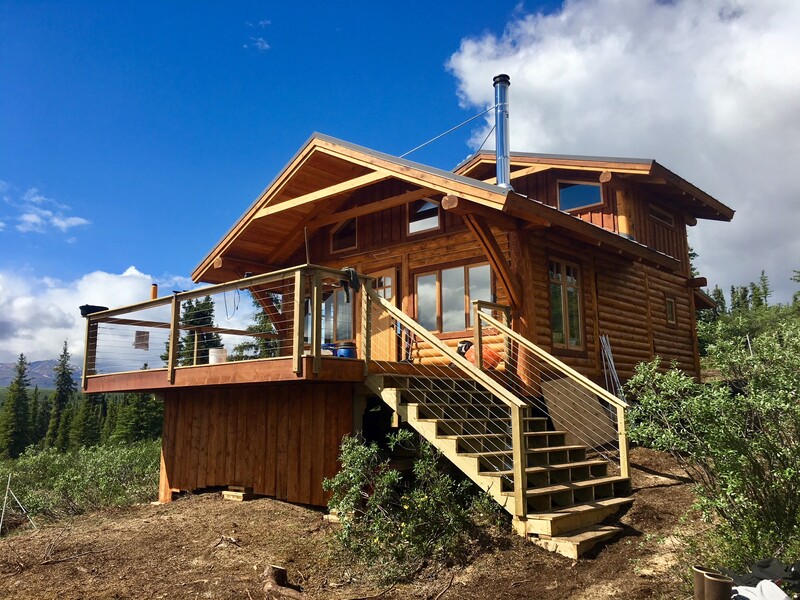 Book this entire cabin in the remote wilderness of the Mackenzie Mountains located in Canada’s Spectacular Northwest Territories! 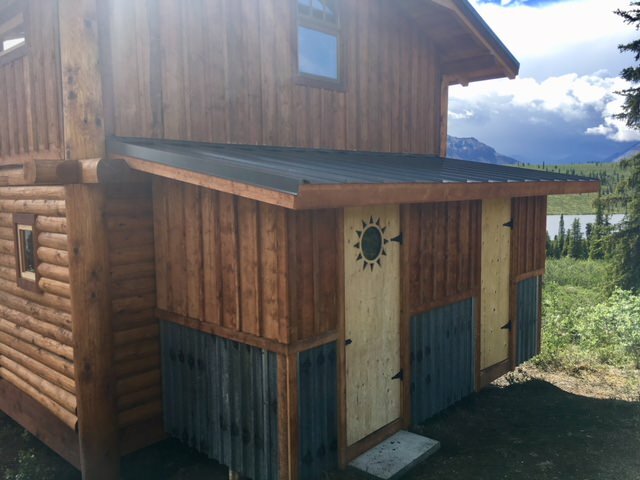 This cabin is accessible by float plane. There are no roads, no traffic, and no other inhabitants other than the local wildlife! 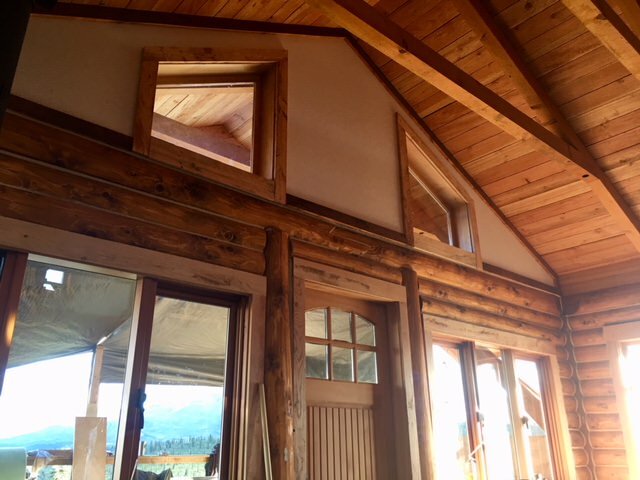 This is a self sustaining cabin with solar power, washing and cooking facilities, and endless outdoor amenities! 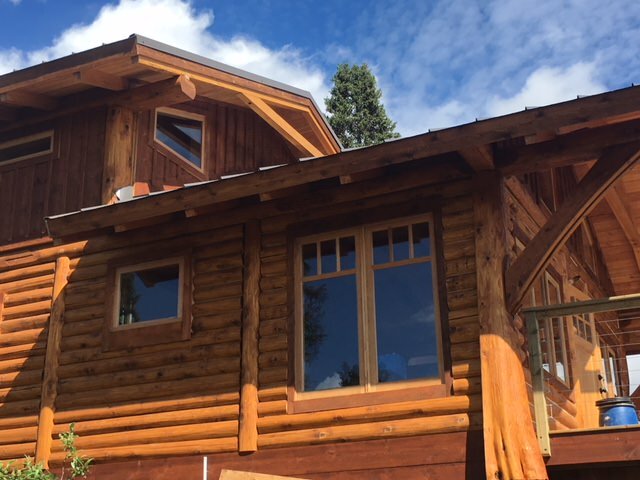 When you book, you will be reserving this cabin in it’s entirety. Share the cost amongst your family and/or friends! This includes your 1 hour float plane trip from the Town of Norman Wells, Northwest Territories, Canada! You must fly to Norman Wells, NT for the departure of your flight. For more information on the rates, please contact us. Explore Canada’s largest river system in the Mackenzie Delta. 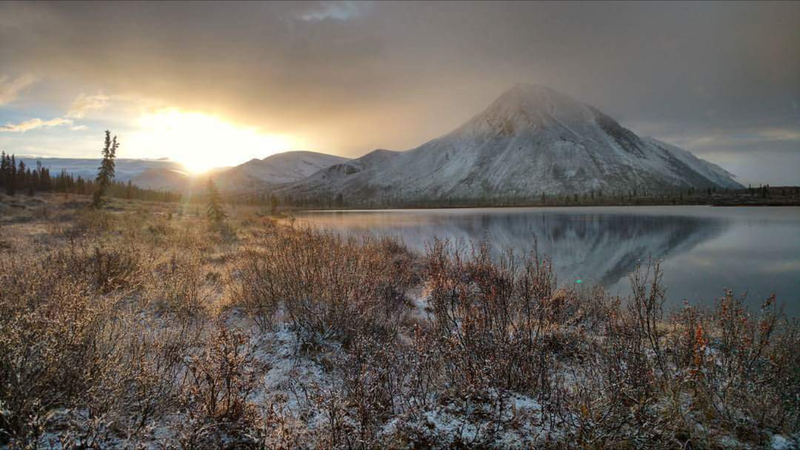 Although a trip to Inuvik and a point in the right direction is all you need to access some of the world’s best watersport and sights, for more involved services, North-Wright offers multiple guided tours of the region. Want to visit the region and explore it yourself? Email info@north-wrightairways.com for advice on accessing the best rivers Inuvik has to offer. 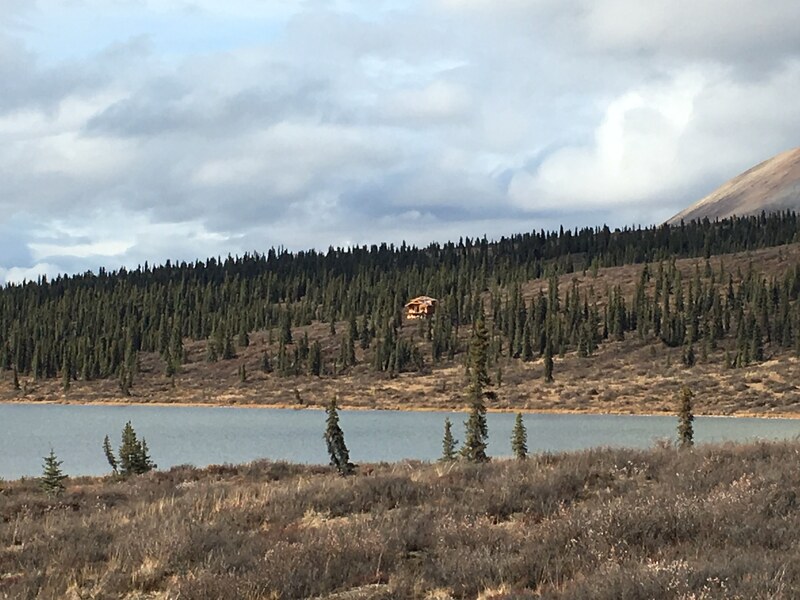 Fly from Inuvik to Tuktoyuktuk and you will see the tree line disappear as you pass over the immense Sitidgi Lake and into the treeless tundra landscape with its many lakes. In Tuktoyuktuk, tour the Arctic settlement nestled by the Arctic Ocean and see the Inuit people and experience their culture. See frozen Pingos, a periglacial landform and learn how the Inuit dug them out to make under ground ice huts to store their meat during the hot summers when the sun shines 24 hours a day. On the return trip to Inuvik, fly up the Mackenzie Delta with its myriad of channels past the Reindeer Station that once housed the keepers of the domestic reindeer herds. See the barges travelling the Mackenzie River and the wildlife that feeds off the riches of the Mackenzie Delta. Fly by float plane from Inuvik past the Mackenzie Delta with its many lakes that once supplied the Inuit and Dene with beaver and muskrat pelts for trading with the Hudson Bay Posts of Aklavik and Fort McPherson. Catch glimpses of the wildlife, perhaps Grizzly Bears or Caribou and watch for Bowhead Whales in the Beaufort Sea area of the Arctic Ocean. Passing by Shingle Point, early warning radar defense station, learn about the summer Inuit camping ground. Upon arriving at Herschel Island, experience the history of this early Whaling post and see the island’s cemetery. On the trip back to Inuvik, see the log timber along the coastline that floated down the great Mackenzie River ending its journey on the shores of the Beaufort Sea. Fly to Aklavik over the Mackenzie Delta with its many lakes that once supplied the Inuit and Dene Indian with Beaver and Muskrat pelts for trading with the Hudson Bay post that was built here in 1818. Watch for moose in the Delta landscape. Experience the two cultures of both the Inuit and the Dene Indians that live together in Aklavik who in historic times were once warring nations. See the grave site of the infamous Mad Trapper of Rat River. In 1930, this wilderness man eluded the RCMP by wearing his snowshoes backwards surviving for 30 days before being hunted down by the famous Canadian War Ace and bush pilot, Wop May of Edmonton. On departure from Aklavik fly over the Richardson Mountains to see the Bell and Rat River where the Mad Trapper met his Maker by the guns of the RCMP. Upon arrival back in Inuvik you will see the town from the air. 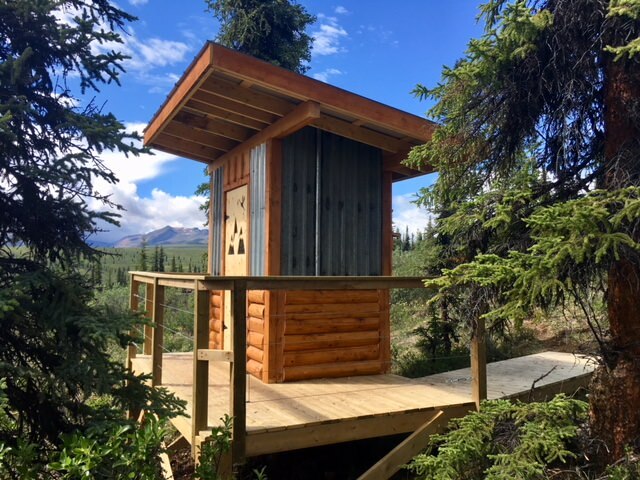 Or perhaps you may just want to enjoy the quietness and tranquillity of the great northern outdoors where you can just sit back and enjoy the 24 hour daylight, the silence of the North wildlife, bird watching, flora and fauna, camping, hiking in the mountains, or just float around the pristine lakes. Does this sound like you? Eco friendly locations are: Summit Lake, Horn Lake, Tuktutnogiate Park, Herschel Island. North-Wright’s based in the Sahtu Region for a reason. Hunting, sport fishing, canoeing, kayaking, hiking, touring and flightseeing. It has it all. Let us fly you into Norman Wells, so you can begin exploring it for yourself. 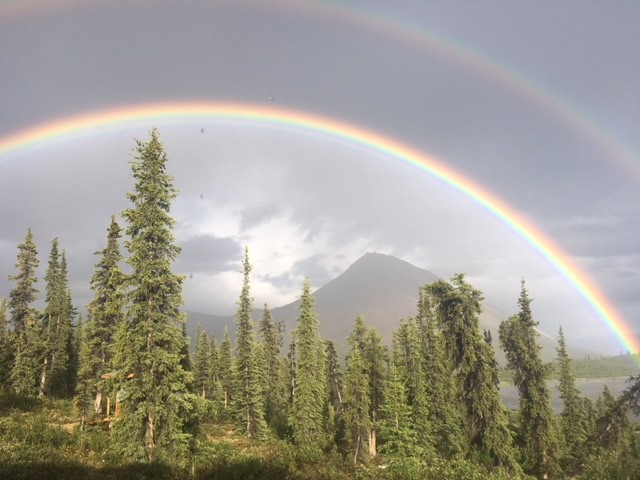 If you want to see the magnificence of the Mackenzie Mountains and their compelling vistas, take this short flight to the edge of the mountains to see Dodo Canyon, Linton Lake, Carcajou Canyon before returning to Norman Wells. Flight to see Kelly Lake, Vermilion Creek Sink Hole and the Norman Range from the air and possibly the Muskox herd. One of the most spectacular moments in northern living is the moment that the big ice jams on the rivers break loose in a terrific roaring push and run. Seeing this from the air is one of the finest experiences to view the power of nature and the strength of one of the mightiest of northern rivers. Using MODIS and AVHRR imagery, it is possible to map ice breakup to within a few days on large northern rivers. See the Great Bear rapids on the Great Bear River where the first pipeline in Canada was laid to get fuel around the rapids as you make your way up to the magnificent Great Bear Lake. Great Bear Lake is the largest lake entirely within Canada the third largest in North America and the seventh largest in the world. This enormous lake with a surface area of 31,153 sq. km. is situated on the Arctic Circle and is above sea level. Keep your eyes sharp for the Uranium Mines and hear about the Manhattan Project story as you pass by Tulita canyon and the Canyon Creek Sink Hole before returning to Norman Wells. 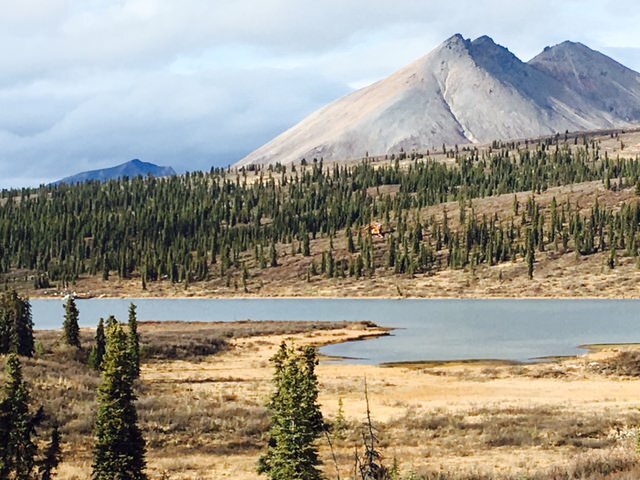 Take a flight into history over the spectacular Mackenzie Mountains to see pristine wilderness and bring Canol Road history alive. The Canol Road was built by the Canadian and American Armies during World War II ensuring that northern oil supplies would not be cut off. Take this flight from Norman Wells and experience this exciting seldom-told story. 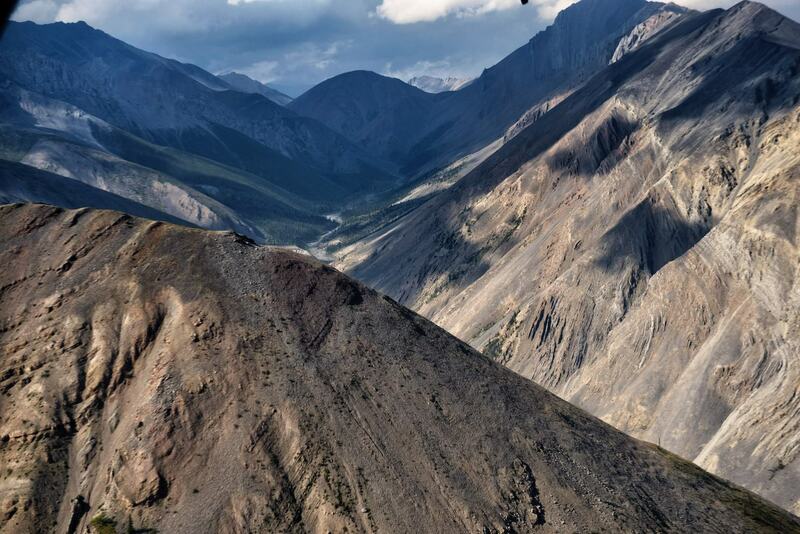 During the flight, you will see Mile 0 on the Canol Trail, remains of wooden barges, the remains of Camp Canol, Dodo Canyon, Echo Canyon, Canol Lake, Canol road remains, Carcajou Falls, the Canol switch back road up to the highest elevation, the Plains of Abraham, the Pumping Station at mile 74, remains of the Canol pipe, and Linton Lake. 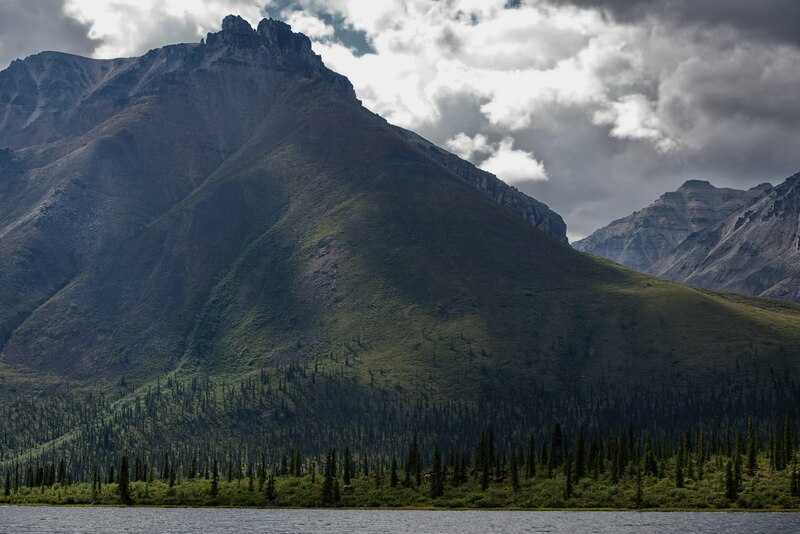 Continue along from Mackenzie Mountains to the Vermilion Creek Sink Hole along the top of the Norman Range to see the north view and possibly a muskox herd and then return to Norman Wells via Jackfish Lake and Bothwerth Creek Falls. Fly from Norman Wells to Deline with a two hour interpretive visit in Deline to see the community, Grey Goose Lodge, the remains of where Sir John Franklin built his fort and the Deline Land Corporation buildings. This is the settlement where the first recorded game of hockey was played in Canada. Along with this, experience the culture and people of Deline. On the return trip to Norman Wells see Great Bear River, the Great Bear rapids, flightsee over Tulita and the Canyon Creek Sink Hole. Fly from Norman Wells to Fort Good Hope with a two hour interpretive visit in Fort Good Hope to see the community. See the famous Fort Good Hope Church with its beautifully painted murals and take in the spirit and culture of the people in every day life. Visit the new Band and Land Corporation Office. View the Mackenzie Ramparts rapids from the banks of the Mackenzie River and the Hare Indian River. The people of Fort Good Hope received the name Hare from the whiteman as the traditional garments they wore were made out of rabbit hides torn into strips, and sewn and gathered to resemble feathers. The return to Norman Wells will be over the Mackenzie Ramparts and then past the Sans Sault Rapids on the Mackenzie River. Fly from Norman Wells to Tulita with a two hour interpretive visit in Tulita to see the community, experience the Dene and Metis culture and hear the story of the people of Tulita. At the confluence of the Mackenzie and Great Bear Rivers, Tulita became the site for the Hudson’s Bay Trading Post in 1810 called Fort Norman at that time. Sir John Franklin used Tulita for a base during his northern explorations. Return to Norman Wells. Flightseeing trip to Colville Lake from Norman Wells and spend three hours visiting this historic community. This is an opportunity to see the art of famous northern painter, Bernard W Brown perhaps seeing him putting paint to canvas or commission a painting. Take a tour through his hand-built museum and listen to Bern describe the artifacts he has collected over the north during the years of spending time with the local First Nations. Then take a walk through the village and meet the elders of Colville Lake listening to the stories of the life and culture they live. If time permits take a boat onto the lake and catch some of Colville Lake’s big lakers.